In a recent post, we touched on the subject of bonding with dogs, and grooming practices are some of the best ways to accomplish this feat. So The Freshpet team has put together these at-home grooming tips so you can make it happen. We all know the importance of giving our canine a good daily brush, whether they be big or small, long-haired or short. But, by just adding a couple more tools to your arsenal you can give your dog a fashionable 'do with confidence. With a comb, a sharp pair of scissors and a trimming device, along with a bit of time on Google, anyone can master grooming at home. You can even find grooming sets with everything you would need like this one from Wahl. These tools are a great start for a simple yet sleek look. 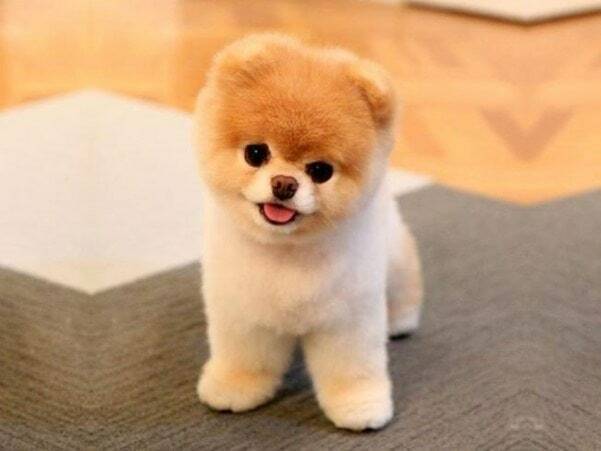 If you’re looking to style something a little more fancy like Boo's teddy bear haircut, consider brushing up on pet grooming styles on YouTube. 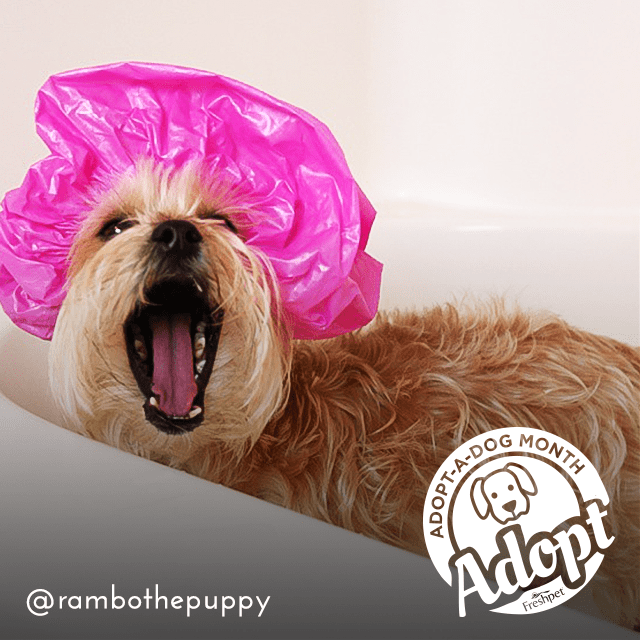 Many of us already have some of those adjustable hand-held shower devices, and when it comes to the bathing of our pets, this is actually a great tool to get the job done quicker and more efficiently. With a hand-held nozzle, you can wet your pet, apply shampoo, rinse and repeat, just like we humans do when we shower. But the key word here is “bathing.” You don’t need to dunk your dog in water. It’s much easier to “shower” them, but also safer as you’ll be able to avoid soaking the insides of their ears, which can sometimes cause infection if not dried properly. One of the many important grooming aspects that shouldn’t be overlooked is trimming nails. But many dog owners are hesitant to do this themselves because of the risk of cutting the animal’s “quick," is nicked (the band of nerves and blood vessels that runs part way down the inside of each nail), which can cause severe bleeding if severed. If you're using clippers, be sure to get educated on the best practices for this method. It can be scary at first, but you can song get the hang of it and learn just where to clip. Clippers aren’t the only choice, especially for larger dog breeds whose nails are often too big for these smaller trimming tools. 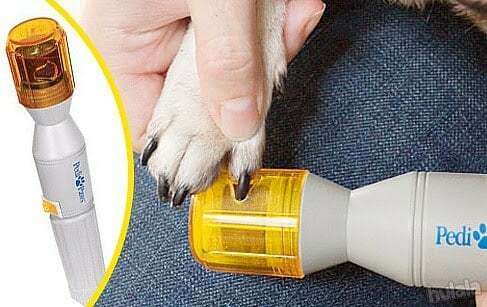 Some owners and many breeders are opting for "nail grinders" like PediPaws or the Furminator Nail Grinder, that help to sand down the pet's nails. As any parent knows, brushing teeth daily is an important part of the overall grooming process and is important for better health and hygiene. If a dog has an abundance of tartar build-up due to a lack of brushing, veterinarians will recommend a professional cleaning to avoid problems like gingivitis, periodontitis and gum disease. Not only is this type of cleaning procedure painful for the dog, it also requires them to be put under general anesthesia, which can be dangerous for some animals. 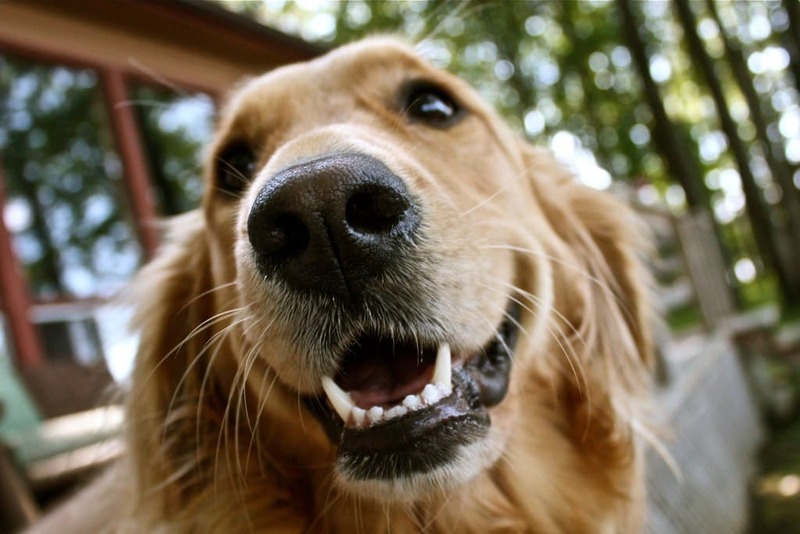 So, it’s important to ensure you’re your giving your pet the dental care he or she needs. Similar to canine nail trimmers, many pet stores or other online venues sell special dental products for dogs such as poultry flavored toothpaste and fingertip brushes. While it may seem that we’re shelling out a lot of money upfront on these grooming tools and products, they’re actually pretty inexpensive when you compare the costs of regular trips to the groomer. You can really save money in the long run, but more importantly, the extra time spent with your precious pooch is priceless. While we don’t recommend completely cancelling all of your grooming appointments, you can plan to schedule fewer and groom at home in-between visits. I really liked your tip about pet dentistry. I had no idea that they made finger toothbrushes and other things to help keep your pet's mouth healthy. I love my dog and I want to take good care of him so I think I will start making sure his teeth are healthy. Thank you for sharing. I love these at-home grooming tips, especially your advice about getting educated on the best practices for nail clipping. I didn't realize how sensitive a dogs nails could be, I imagine that a professional pet groomer would be able to advise you on which type of clipper would work best for your dog. Maybe I will find a professional to consult with before implementing these tips. These tips are really simple. I am gonna definitely try these out next time.